The story kicks off with the evil Dr. Doofenshmirtz firing a laser beam that takes control of all the home appliances in Danville. Prepare to make a stand against menacing robot microwaves and washing machines with your tennis ball guns and other fun weapons as you set out to defend Danville! 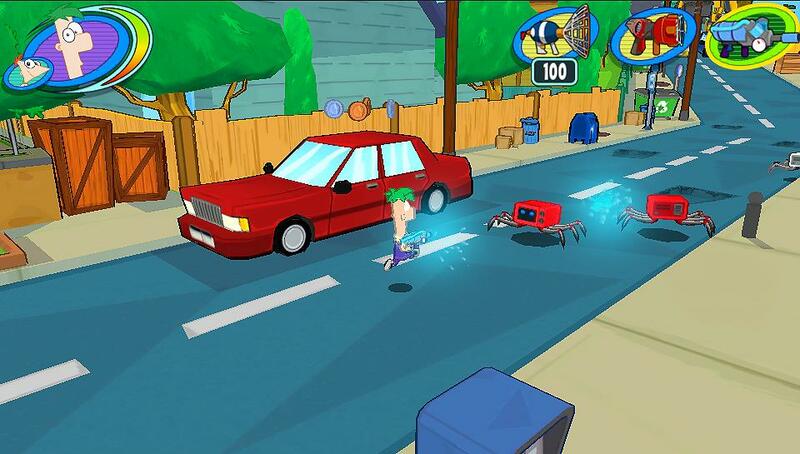 It’s up to the boys to chase down their very own monster truck robot, “Carsaurus Moto-Rex” and rid the town of those pesky appliances in their very first wacky adventure on the PlayStation Vita. The gameplay is fun and easy for younger players to grasp. 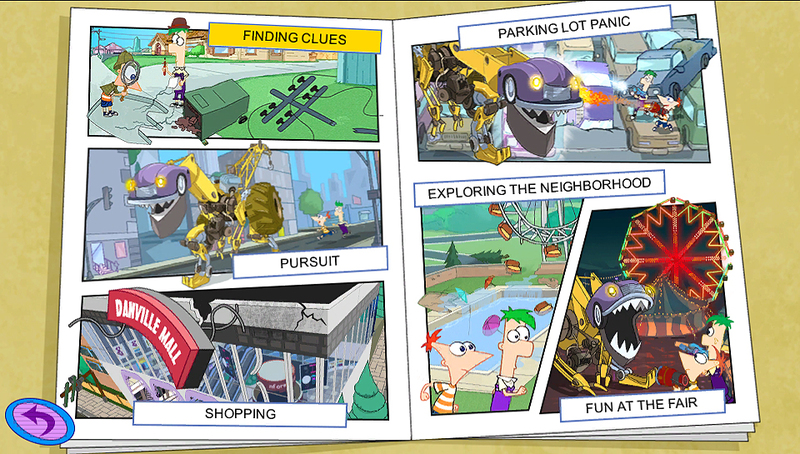 The levels are divided into chapters presented as comic books which you play through as either Phineas, Ferb or Perry the Platypus. 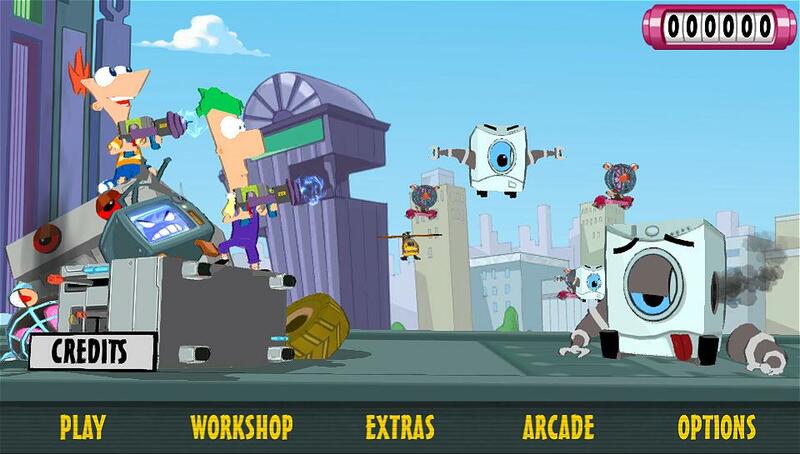 Players will be shooting their way through evil home appliance robots to stop Dr. Doofenshmirtz. The weapons are fun to play with as you start off with a tennis ball gun and move up to bouncing basketballs and other crazy gear. Each weapon is different and they provide a good variety to the combat. The enemies are home appliances transformed into evil robots and they can get the upper hand on players easily. 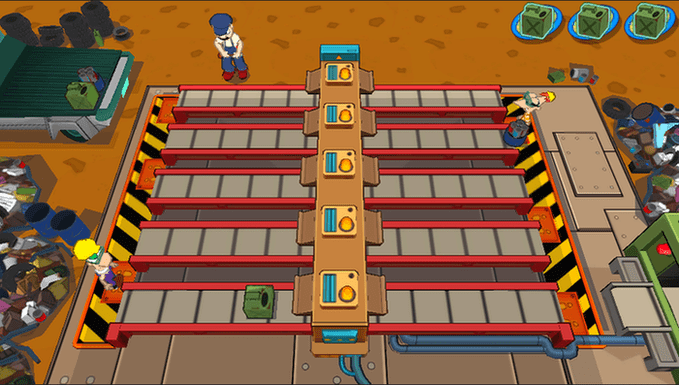 There are a few puzzles scattered throughout the levels which consist of pulling and pushing boxes to climb higher or unlock doors to proceed. Some puzzles require the use of specific characters so you have to swap out the one you’re using to get the job done. The game is fun and cartoony but it does come with some negatives as most games do. From the beginning of the game you are greeted by lengthy load screens before you even get to the main menu. The load screens are frequent throughout the game and they pop up a good bit. This will be obvious to regular gamers but its nothing major and most games nowadays take far longer to load so it wont take away from the experience too much. Shortly after the game began I noticed something important was missing. There is no voice acting present in the game so the lovable Phineas and Ferb arent brought to life as well as they could have been. The music is quite bland and generic also. Nothing really stands out with the music used throughout the game. The negatives are only minor other than that the game is quite fun. I really enjoyed the comic book transitions, they remind me of the story telling method used in Gravity Rush. The writing is quite witty but the lack of voice acting is a real let down. With this being the gangs first adventure on the Vita it is easier to ignore the lack of voice acting. 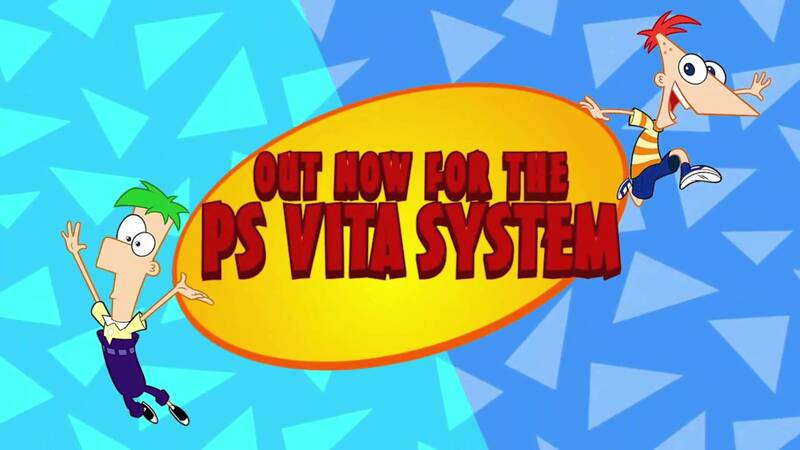 Phineas and Ferb: Day of Doofenshmirtz is still a fun title and hopefully well see more features in a future sequel. Phineas and Ferb: Day of Doofenshmirtz is a fun game to play and shows some of the fun and imagination that your kids have grown to love from the Disney show. The loading times are noticeable and the lack of voice acting is a little disappointing but with the younger audience in mind, I would recommend it as it still features all the characters your kids know and love in witty adventures on the go. For the price of €24.99 its definitely a nice little purchase for christmas.